When in July I was in Cambridge to improve my English, I did a little shopping. Okay, it's a lie - shopping literally drove me crazy. In fact I spent 400£ in the very first week -yeah, Daddy wasn't too happy, you know -. That's because in Italy we don't have loads of English shops and brands such as Topshop, Primark, Forever21, Victoria's Secrets but especially Boots and Drugstores. This doesn't mean that we don't have anything of the brands boots sell, but we have just the most famous ones (like Rimmel or Revlon). Don't worry, I'm planning to write an England fashion/beauty haul post as soon as I come back home. Anyway, I used to spend hours and hours in Cambridge's superdrugs, it was definitely my favourite pastime. As a devoted subscriber of English youtubers, I couldn't believe to be in their beauty kingdom, surrounded by brands they've always talked about but I've never had the opportunity to try. 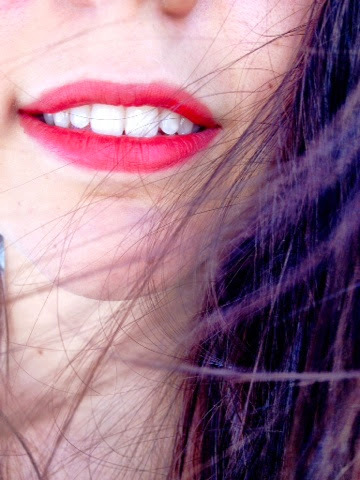 So Bourjois is one of them, and I bought the Rouge Edition Velvet Lipstick thanks to Anna which mentioned it in her Drugstore Makeup Starter Kit video. And I agree with her, this is actually a must-have. Firstly it has a quite wide range of shades, mine is in 03 Hot Pepper. 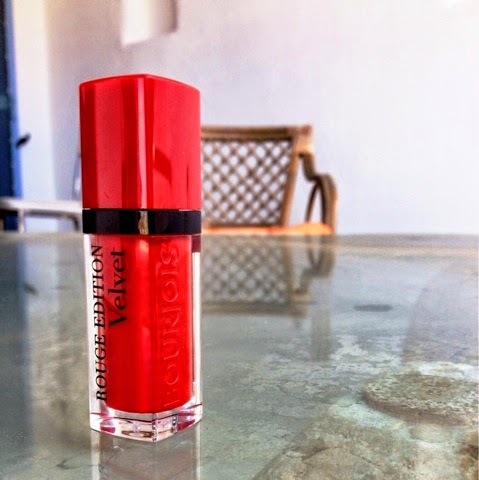 It's matte and lasts all day (also after eating) without drying your lips. If you apply it just once, it's light and perfect for the day (I'm thinking to use it also at school!) 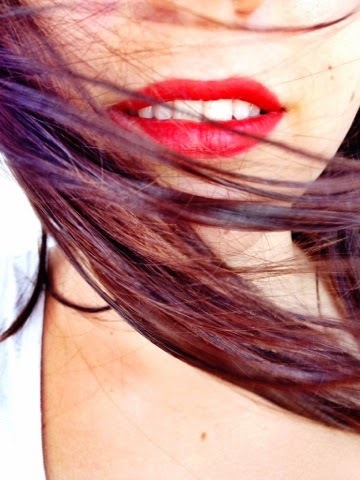 but if you give it a second application, you'll have a deep red, very pretty and great for nights-out. It's quite cheap for its quality and it definitely worth it (9£, 14$). The only negative thing I must say, is that I don't like the scent very much, but you can smell it just at the beginning, then it fades away. When I came back home from England I realised I forgot it there and I was desperate. You can just imagine my happiness when, last week I came to Greece (where I am at the moment) and I found a little shop that was selling Bourjois' products. Useless to say, I immediately repurchased it! My dad was very surprised of my feelings' transformation, because two minutes before I was complaining of the restaurant where we had eaten, which wasn't very good. 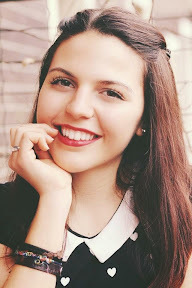 This is the proof of how a girl can change her feelings, just with a little of makeup (or a good wifi connection). 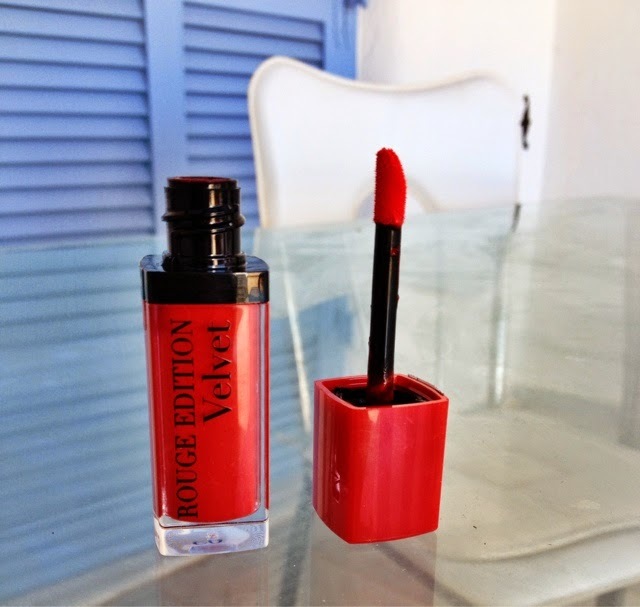 So guys, this was my opinion about Bourjois Rouge Edition Velvet Lipstick, I'd really recommend you to give it a go! Hope you've found this useful. Thanks Shannon, you won't be disappointed, I promise! Anyway let me know how's going on when you buy it!